Donizetti's Don Pasquale is, like its protagonists, impish but goodhearted. Paired with the composer's lesser-known Olivo and Pasquale, the effervescent comedy opens Amore Opera's season in a staging (by Nathan Hull) that sets it in the Palermo of the early twentieth century. Pasquale's elegant world, slightly faded and slightly dusty, where everyone has a place and knows it, is tottering like him into old age. The ways in which this could have emphasized the tragedies of history are obvious, but the tone of this was resolutely light: the members of the younger generation, while mocking and eventually puncturing Pasquale's delusions, both respect and share his fundamental goodness. (I was half-expecting the unconventional Norina to have a motorcar, or at least a bicycle, but she remains merely vivacious.) 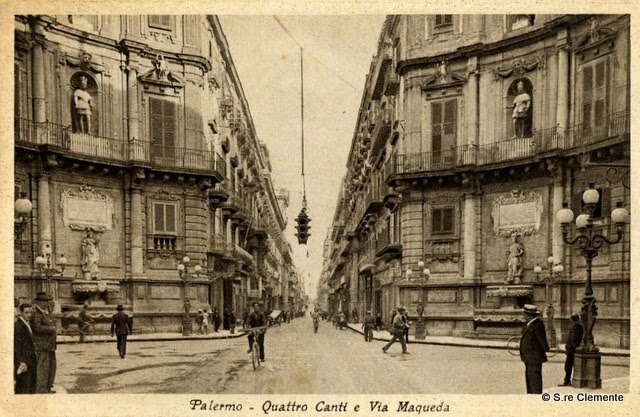 Malatesta, suave and well-dressed, very much the modern businessman with an oft-consulted pocket watch, seems the most connected to the world outside Palermo. This world, however, is dim and distant, with the opera remaining a self-contained world abiding by the conventions which are satirized in score and libretto. The ensemble cast communicated this effectively and with charm, singing in a surprisingly good English translation. The orchestra, led by David Stech, was slightly loud, but pains were taken to stay with the singers, and tuning problems were adjusted for. A few wobbles and occasional problems of synchronization within the orchestra failed to distract unduly; playing was briskly energetic, often commenting, with a broad wink to the audience, on the emotions of the characters. These included, in Amore Opera's staging, a silent servant who looked as though he'd stepped out of an early Cagney film. His only vocalization was to rebuke a trumpeter who wandered into the Godfather theme in the overture to Act II, but he was a vivid character as well as useful dogsbody to Pasquale. Robert Dewar played the pretended notary with a broad comedy most keenly appreciated (to judge by the laughter) by those acquainted with the other notaries, real and pretended, of the operatic canon. As Norina, Brooke Collins sang with impressive agility, smooth tone, and good diction. Malatesta is the brains of their partnership; but she demonstrates flair for managing those around her (presumably a habit that will be indulged in her future partnership with Ernesto.) The Don's hapless nephew seemed more than usually hapless in this staging... but then this is a tenor whose music is devoted primarily to self-pity. Ray Calderon struggled to make himself audible, but I think he must have been having an off night; his Act III serenade displayed the sweetness of tone and smoothness of line which had eluded Calderon earlier. Very little except good manners prevented Scott Lindroth, the evening's Malatesta, from walking off with the show. Lindroth's warm baritone is strong and charismatic, and he demonstrated very fine legato singing, as well as admirable comic timing. His scenes with the amiable Don Pasquale of Gary Giardina were charming. Giardina realized the role of the fussy and self-important Pasquale with fine buffo singing, and a quasi-perpetual air of vague surprise. His pleasantest surprise of the evening seemed to be the denouement, perceived long since by everyone else as inevitable, in which he is relieved of responsibility for the future.